After all the indulgence over Christmas, I expect that you are now looking for some easy healthy recipes to start the New Year with. Many of us start the year with our healthy resolutions, but it can be hard to keep the momentum going after the first couple of weeks. 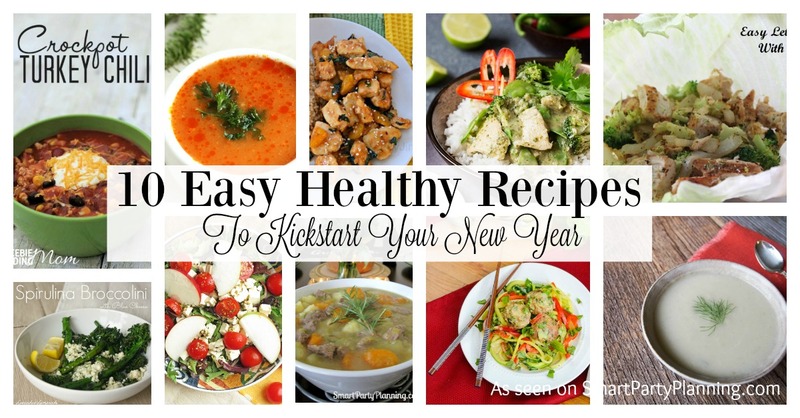 I hope this post helps you to start the new year the way you intend to go forwards with this selection of delicious and easy healthy recipes. 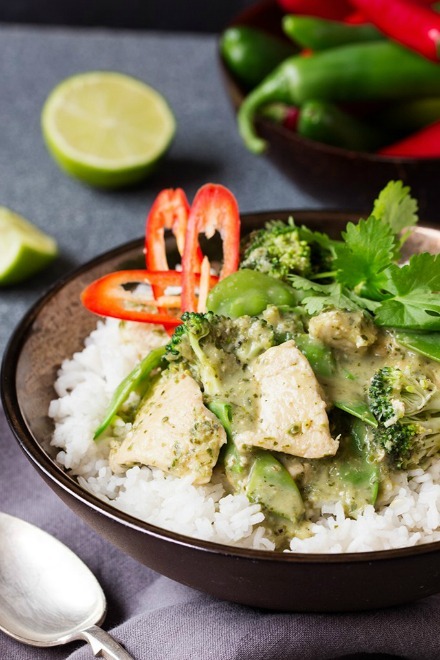 It’s hard to go past a good curry, especially when they are as light and fresh as this Skinny Thai Green Curry by Kitchen Sanctuary. With less than 500 cals per sever (including the rice), this is going to be one dish that you are going to love for this New Year. With so many flavors packed into this, you are not going to feel deprived with your New Years healthy eating. 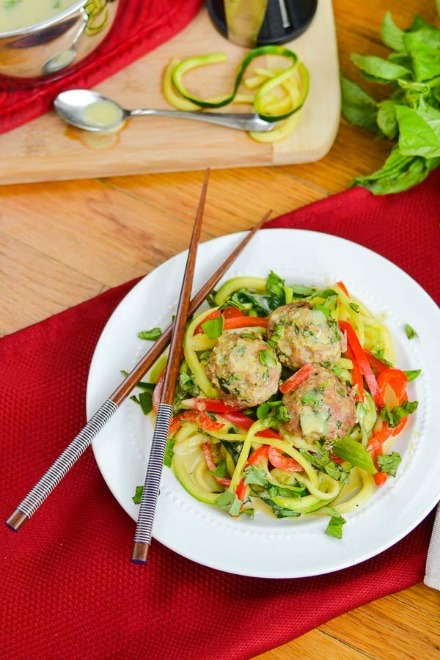 This basil green zoodles with Asian meatballs by The Foodie and The Fix looks simply amazing. Who needs take out Thai when you can make something this incredible at home. Plus it is going to be a lot healthier and a refreshing way to start the New Year. 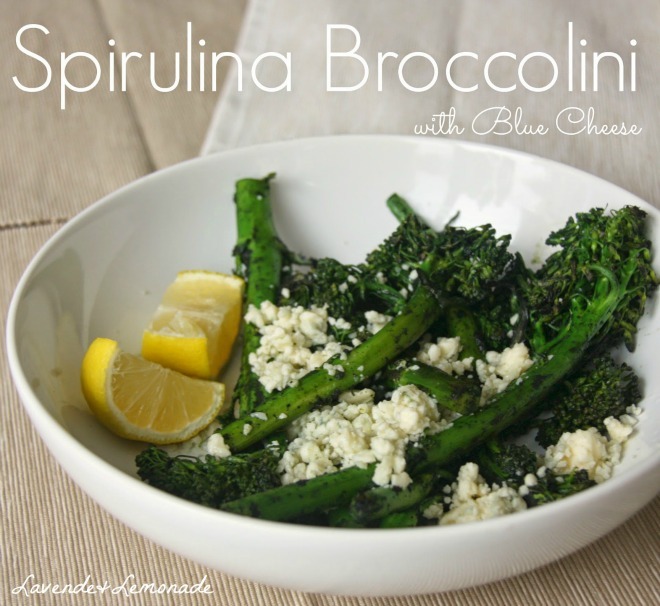 This Spirulina broccoli with blue cheese by Lavende & Lemonade is not only delicious, but incredibly healthy. This dish has a wonderful blend of nutrients, vitamins, antioxidants and anti-inflammatory properties all thanks to the sea vegetable Spirulina. 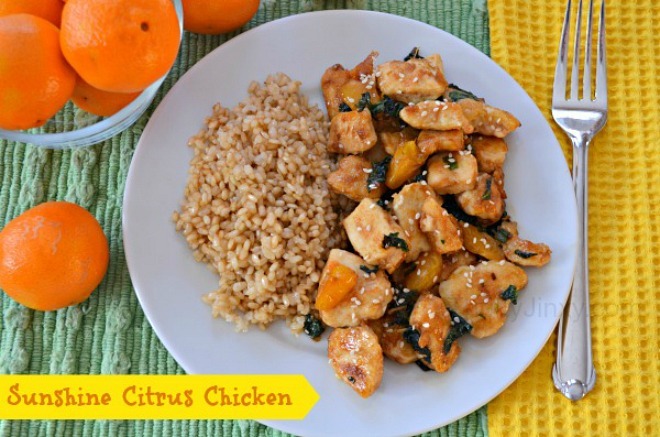 This Citrus chicken recipe by Thrifty Jinxy is a great lean protein meal which will also give the nutritional boost from the citrus and spinach. Using only a handful of ingredients, it is super easy too, which makes it a win win! 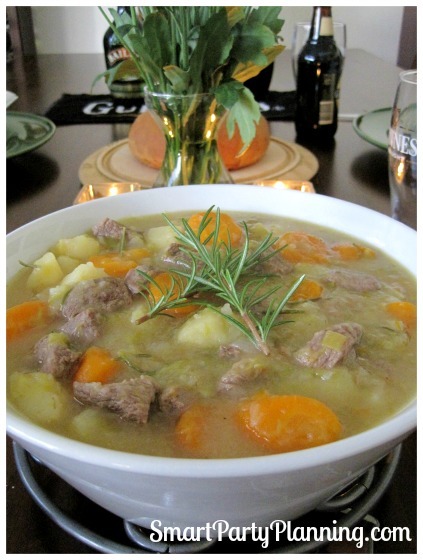 If you would like something that is really ‘hearty’ but also nice and healthy, then you must check out this Irish lamb stew. Who says you have to wait for St Patrick’s Day for something this delicious! 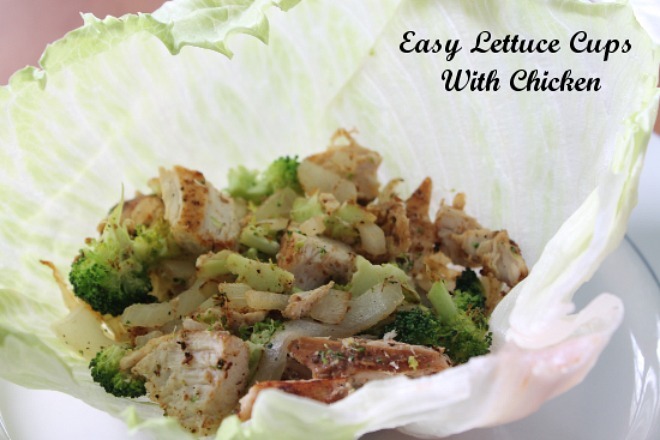 For a light and refreshing meal, I’m sure you will love these easy lettuce cups with chicken by Mom Start. These would be great for lunch and if you feel they are not quite enough for a meal, it is easy to quickly add some delicious veg or salad onto the side. For those of us that have New Years in summer, a simple salad is definitely required on the menu. 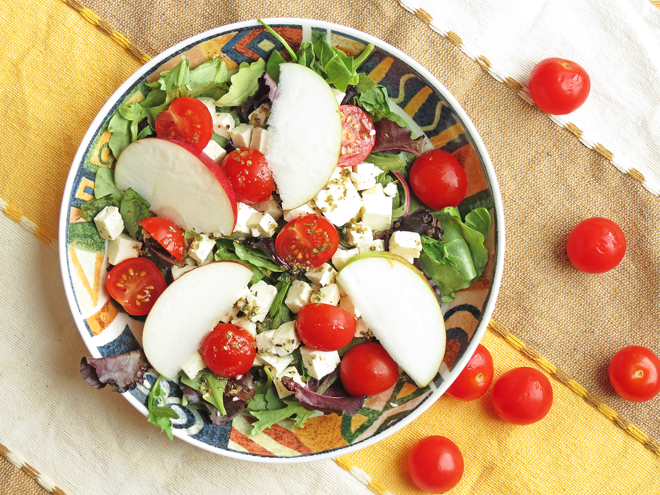 This easy feta and apple salad is nutritious, healthy yet super tasty. 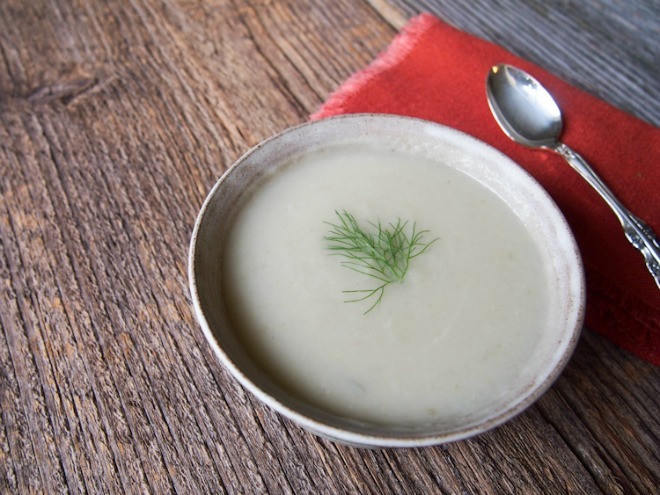 If you are after a warming yet light healthy meal, then you might like to try this fennel and pear soup by Vermilion Roots. With only two main ingredients, you can whip this beauty up in no time at all. 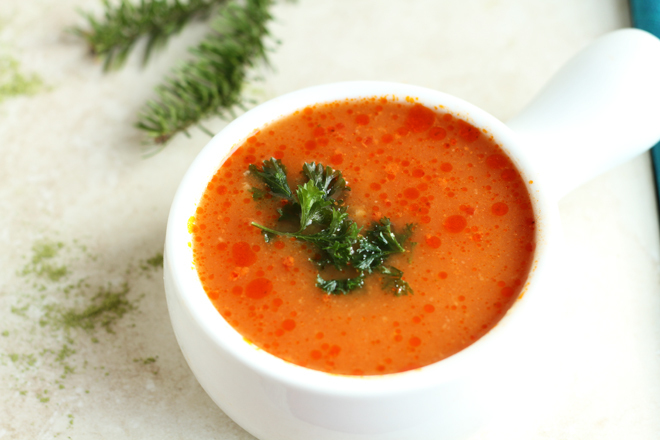 Another quick and easy soup recipe is this easy tomato soup. When you are rushing around at the start of the year, this is a dish that you can whip up in no time at all. 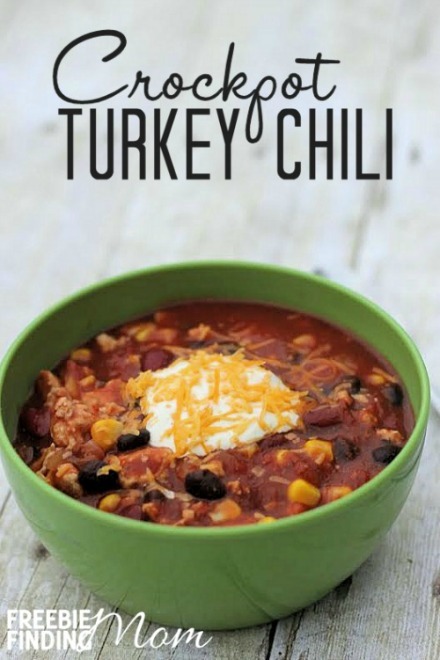 For a healthy yet fun meal, why not try out these easy crockpot turkey chilli recipe by Freebie Finding Mom. It is full of taste, packed with nutrients and is a dish that the whole family are going to love. It’s also a great way to use up any of that left over turkey from Christmas! 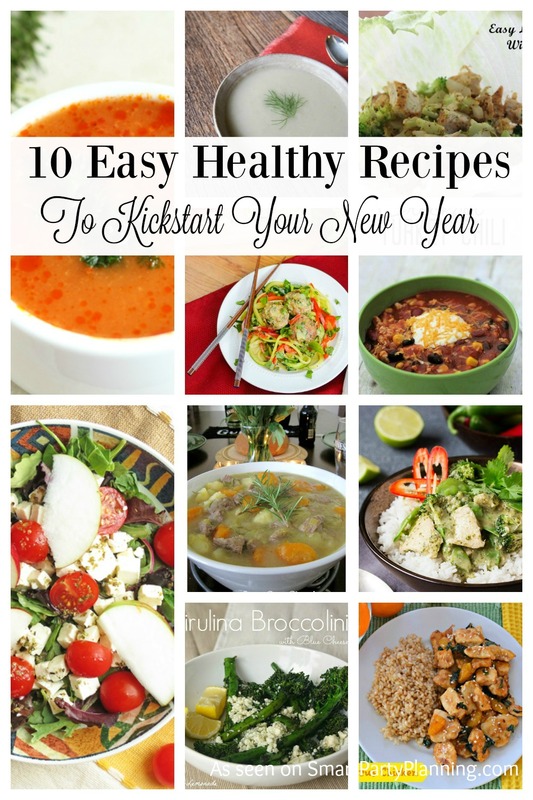 Do you have any favorite easy healthy recipes that you love to start your New Year with? These are some great recipes here! Definitely want to be healthier this new year. I’d love to try that tomato soup! Lots of great dishes here, but the Zoodles with Asian Meatballs sound delicious right now. Thanks for joining us on the Creative K Kids Tasty Tuesdays Linky Party. We hope you will join us next week. These are all yummy looking. I especially want to try the crock-pot chili and the lettuce cups. Some great recipes there and I think out of them all, lettuce cups with chicken would make the BEST comfort food! Thanks for linking up to the Mad Mid Week Blog Hop!